The Ontario legislature is taking action to protect gas station attendants in the province in the wake of a ‘gas-and-dash’ incident that left a Toronto attendant dead. Liberal MPP Mike Colle introduced Bill 124, a Private Member’s Bill, on Sept. 20. The bill covers safety and wages for gas station attendants and also would demand the licence suspension of anyone convicted of stealing fuel. On Sept. 15, Jayesh Prajapati, 44, was dragged to his death by an SUV that had taken off from the gas station where he worked without paying. Prajapati chased the vehicle and was struck. The Ontario Ministry of Labour launched two investigations — one for occupational health and safety and another for employment standards. The second investigation was launched after reports that the gas station made employees responsible for covering the cost of stolen gas, which would be contrary to employment standards legislation. Bill 124 would amend the Ontario Occupational Health and Safety Act to require gas station owners to ensure that customers provide some form of payment — such as a credit card, debit card or cash — before pumping gas. It also has a provision permitting the creation of a regulation requiring safety for gas station attendants. The bill would also amend the Highway Traffic Act, implementing the suspension of the drivers’ licence of anyone convicted of stealing gas. 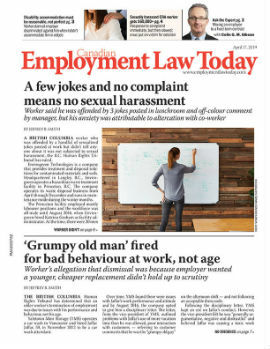 A third change the bill proposes is to amend the Ontario Employment Standards Act, 2000, to prohibit employers from penalizing gas station attendants when gas is stolen on their watch, such as docking pay. Employers who violate this provision more than once would face fines of up to $1 million —double the maximum fine for other violations of the act.